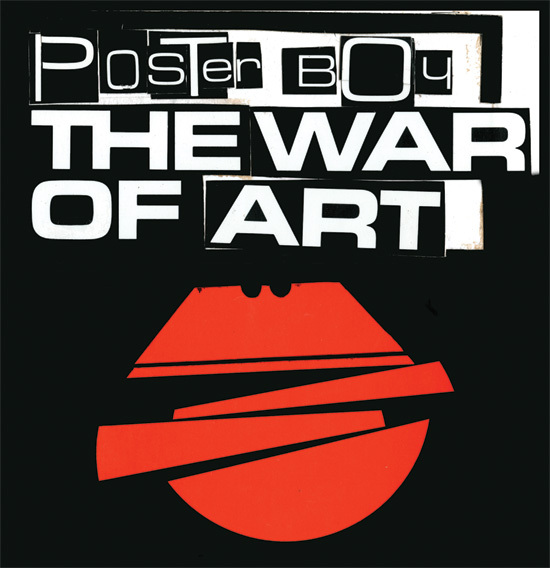 New York collective Poster Boy launch 'The War of Art' book tonight Saturday, August 28 at Pure Evil Gallery. The global book launch will also officially kick off a legal defense fund for artists. Kids Are Rallying Against The Empire (K.A.R.A.T.E.) is a grass roots effort they hope to eventually turn into a non-profit organization. Sadly, when dealing with the legal system most artists don’t know, understand, or are intimidated into forgoing their rights. Artists are often poorly represented in court and do not have financial access to proper counsel. K.A.R.A.T.E. will be committed to helping artists defend themselves in court for art-related crimes conceived in public space. Even at its infancy K.A.R.A.T.E. has managed to get Henry Matyjewicz, a Poster Boy participant, out of prison on appeal only two weeks after being sentenced to 11 months by a superior court in New York. Mr. Matyjewicz is now being represented by world class civil rights lawyer, Ron Kuby. Because of K.A.R.A.T.E. Mr. Matyjewicz now stands a fighting chance in court. Email us at karatemeat@gmail.com if you’d like to know more about the fund. Signed copies of the book along with special edition prints are available through nycposterboy@gmail.com . A portion of the sales will go to the K.A.R.A.T.E fund.